Dream, explore, discover the Himalayan range. Dive deep into Ladakh's ancient cultural heritage where the faces, places & faith of this beautiful region take you back in time. 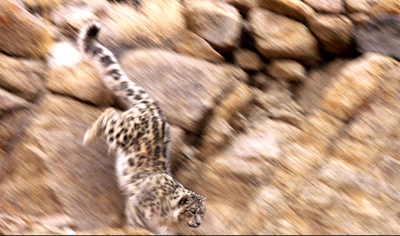 With the record number of snow leopard spotting.Hemis National park has truly become the snow leopard capital of the world. A land resplendent with compassion, ancient monasteries, mystical art, and the sacred sound of chanting - make your spirit soar! The rough roads, high passes, vast landscape, river crossings and deep valleys of Ladakh will show you the ride of a lifetime. Experience the thrill of walking the great Himalayan trails. With Frozen Himalayas, going into the mountains is like going home. Make you own trail in the land of high passes. Where, on two wheels, you don't just ride you fly. This is Himalayas. 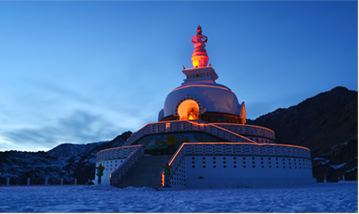 Frozen Himalayas believes in it's responsibility towards the environment & the community. We make your travel more meaningful. The frozen river trek through majestic river valleys of the mighty Himalayas taking you into the hidden heart of Zanskar. Where the sky is the only limit but the adventure is limitless! Frozen Himalayas is a professional outdoor company in Leh, Ladakh (India) dedicated to all travelers but specialised in winter expeditions. Frozen Himalayas tailor make their itineraries. They guarantee to give you high quality personalised service with the experience of a lifetime. The Frozen Himalayas hand-picked team has years of experience in travel and tourism and personally understands all your travelling needs. "Three thumbs up for Frozen Himalayas." "The motorbike trip of a lifetime!" Snow leopards are one of the most enigmatic yet iconic of the wild cats. They live and travel in solitude over vast distances of isolated and rugged mountain range across 12 countries in central Asia, and are supremely adapted to thrive in some of the harshest conditions on the planet. Seldom observed in the wild, or at best a fleeting apparition, snow leopards have earned the title ‘Ghost of the Mountains. This Grey ghost roams the mighty high altitude ranges. It is widely considered to be one of the most beautiful of cats.